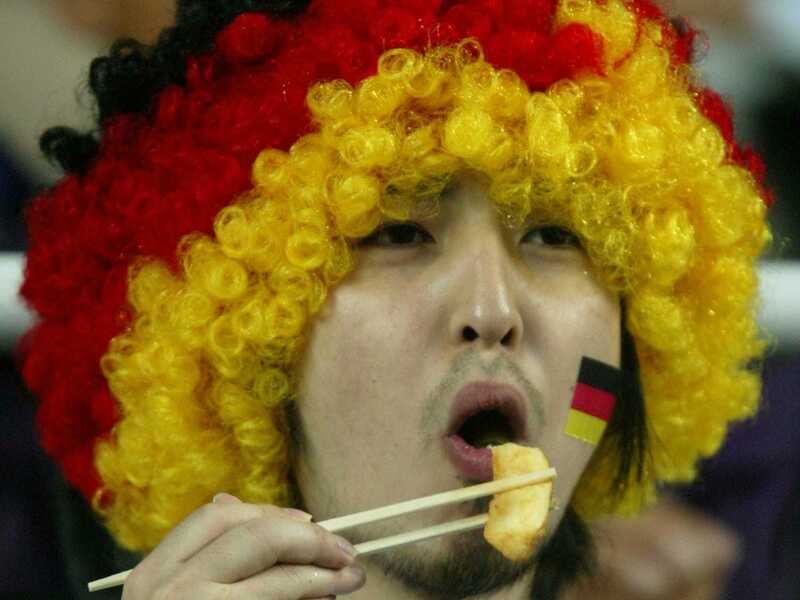 REUTERS/Yves HermanGermany is looking more and more like Japan. 1. Inflation and GDP figures were confirmed. Germany grew by 0.1% in the third quarter, with inflation of 0.8% in October. 2. German politicians have negotiated “schwarze null“, the first balanced budget for the country since the 1960s. 3. Jens Weidmann, the president of Germany’s Bundesbank, played down the idea of the European Central Bank buying sovereign bonds (usually described as quantitative easing). These are all microcosms of the problems facing Germany. Growth and inflation are at very low levels, politicians (and voters) are extremely reluctant to pursue fiscal stimulus, and Germany’s monetary policy representatives are some of Europe’s most hawkish. It’s easy to see where this is going. A relatively ageing population, low inflation, low growth, and a political climate that doesn’t really seem that unhappy with any of this is what precisely happened to Japan in its lost decade (or two). It’s easy to get wrapped up in the fact that Japan saw deflation during this period. Germany might not see that, but inflation and real growth combined, known as nominal growth, looks set to be extremely low, just like it was for Japan. Chris Scicluna and Robert Kuenzel at Daiwa Capital Markets have some policies that might help fend off the German economy’s slump. Fiscal stimulus. Germany’s budget is now practically balanced. But it’s got room within the EU’s fairly strict rules to run a deficit of up to 3% of GDP. Borrowing costs for the country are practically non-existent, so it’s hard to see downsides to a little loosening here. More public investment. Thankfully, Germany has a lot of things to spend a potential stimulus on. The IMF itself has flagged up the declining quality of Germany’s famous infrastructure, so the stimulus would also go towards with its own merits. Cut taxes. Building roads, bridges and fixing ports takes a while, and the effects are spread over a long period of time. If you want to boost German spending soon, tax cuts are they way to go about it. Structural reform. Germany’s economic reforms in the early 2000s are now lauded as an example to other nations, but it has actually slipped a little. Energy policy is in a mess after Angela Merkel’s 2011 nuclear moratorium, and with the population ageing, which Scicluna and Kuenzel say makes a decision to cut retirement ages in some sectors “plain perverse”. If that list sounds familiar, that’s because it’s not unlike Japanese Prime Minister Shinzo Abe’s three arrows, with some public investment thrown in. There’s no monetary arm, because German monetary policy is controlled by the ECB (although Germany policymakers could stop arguing against easing). Sceptics could reasonably argue that both Japan and Germany have a problem that can’t be solved by monetary or fiscal easing: that it’s just the standard for an ageing, highly productive and advanced economy. But if the Japanese experience has taught us anything so far, it’s that there’s very little harm in trying. But it took 20 years for Japan to get Shinzo Abe and Haruhiko Kuroda as Japanese PM and Bank of Japan governor. Given the attitudes of many Germans, it might take just as long to get their own radicals.